Mobile payments have replaced our wallets and eliminated our pain of carrying cash. But still it comes with a pain that you can make payment only if there is an active internet connection. ZUP introduced a mobile payment technology to reach the grass-root level through Offline Payments and Unified Payment Interface (UPI). It wants to eliminate the need to carry wallets / cards in closed spaces like College Campuses, IT Parks and Residential Colonies. Rajat Yadav, Civil engineer graduate from IIT Madras, now in a completely different field owing to his interest in doing new things right from the beginning. He was also part of a start-up called Geotagg (sold to OLA). Shubham Jindal was Rajat’s hostel-mate in college and an electrical engineering graduate with a great enthusiasm for his dreams. He left his Goldman Sachs job offer to start ZUP. Koushik MLN, A computer science graduate from BIT Mesra who left his offer in Directi to work in ZUP. He is currently heading the tech department of the company. Rajat: While working as an intern in one of the IT Parks in Chennai, I saw that in-spite of buying lunch and dinner daily at the IT Park’s cafeteria, I (and many other people) were facing the problem while paying cash, getting candy instead of change and many petty fights with the cashier for change repeatedly. The same was the situation in our college campus too. That is when the idea of developing something which could be used seamlessly in closed communities came into me. Rajat: It was an absolutely amazing journey so far. We did a pilot launch of Zup in our college campus IIT Madras while we were still studying. During the first week, just 10 students were using the app. In just one month, the number increased to 1000 and so was their love for the app. The students absolutely loved this cashless mode of payment. From a monthly transaction volume of INR 10,000 we are now standing at a monthly transaction of Rs 6, 00,000 with 10000 users and 10 colleges with us in just three months after our official launch. Rajat: The two founders (I & Shubham) were the 1st customers. We used it so much at our college bakery; Shubham’s weight went up by 10kgs in just a month. The next set of customers was our very close college friends whom we forced to use the app. What are the future plans with your startup? 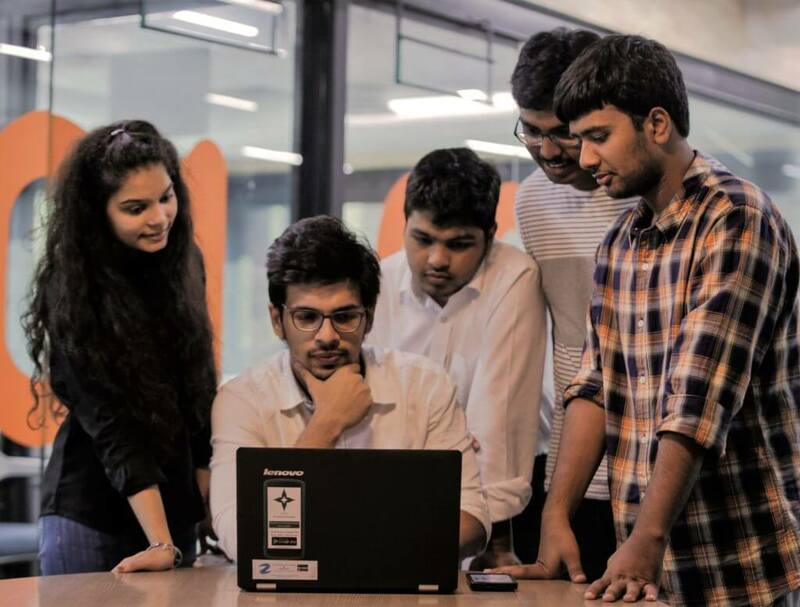 Rajat: My future plans with the startup is not only to be a market leader as a mobile payment system in college campuses across India, but also venturing into Micro-Finance Industry where customers will be able to pay back their loans using our app on their mobile phones through the UPI functionality. We are also aiming forward into the bus and metro ticketing systems in various cities. Rajat: “The team is everything”. No matter how good and Godly you are, you cannot build a sustainable business unless you have a team who are better people than you. Be clear about your idea and vision for your startup for the next 1 year. Don’t get too greedy for money; it will kill your business. Who is your Competitors and plan to outpace them? Rajat: Payzapp, UltraCash, Unopay are some of the names out of our 20 competitors. We are carving out niche market segments and capturing them with our technology and avoiding any direct head-on competition. We have just introduced a credit system in our app through which users can buy something and pay later, particularly useful in emergency situations and 4 years down the line, we have plans to tap into the African countries where there is a huge need to manage cash digitally. Before that, we want to set up a good base in India. What’s your tip for newbie entrepreneurs? Rajat: Startup is not an easy journey. Be ready to put out everything up online. And never be afraid to take risks because taking risks is what will take you ahead in your journey.